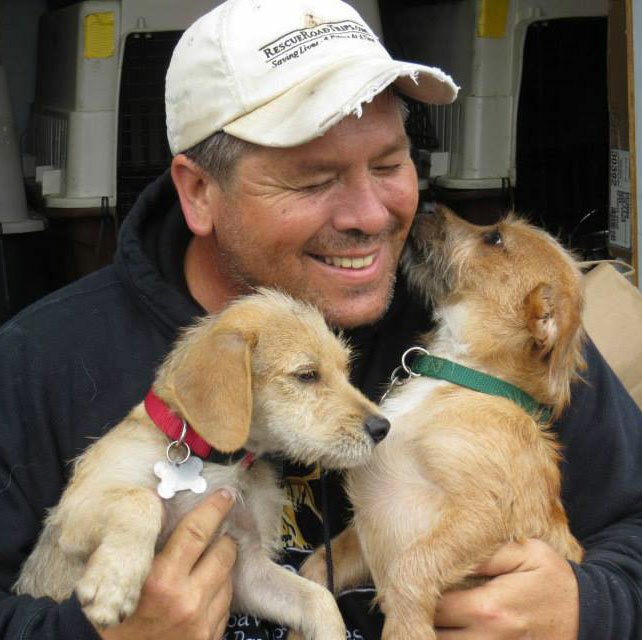 Greg Mahle drives more than 8,000 miles every month transporting lost, neglected and abandoned dogs to new “forever” homes. His remarkable story is at the center of Rescue Road: One Man, Thirty Thousand Dogs and a Million Miles on the Last Hope Highway (Sourcebooks, 2015). Every other Monday he kisses his wife Adella goodbye on the door step of their Zanesville, Ohio home and heads to the Gulf Coast where dogs rescued from high-kill shelters, saved from city streets and even pulled out of dumpsters along rural roads are about to get a second chance at love. It’s Mahle’s job, on these bi-monthly runs, to get them safely to waiting families in the northeast. Over the past ten years Mahle has driven more than a million miles and brought more than 30,000 dogs to safety, changing the lives of these loving dogs and their new families forever. Mahle’s big rig (he can transport as many as 80 dogs on each trip) runs on diesel fuel, but Mahle and his back-up driver Tommy, run on sandwiches and other goodies Adella prepares for each trip. It’s a truck driver’s diet for sure, comfort food not health food, but Adella’s bacon brownies, one of his favorites, are a sweet taste of home and help pass the miles during Greg’s long and physically demanding Rescue Road Trips. This recipe evolved with Greg’s help: he used to run a small group of family restaurants in Zanesville and, according to Adella, is the “real cook” in the family. 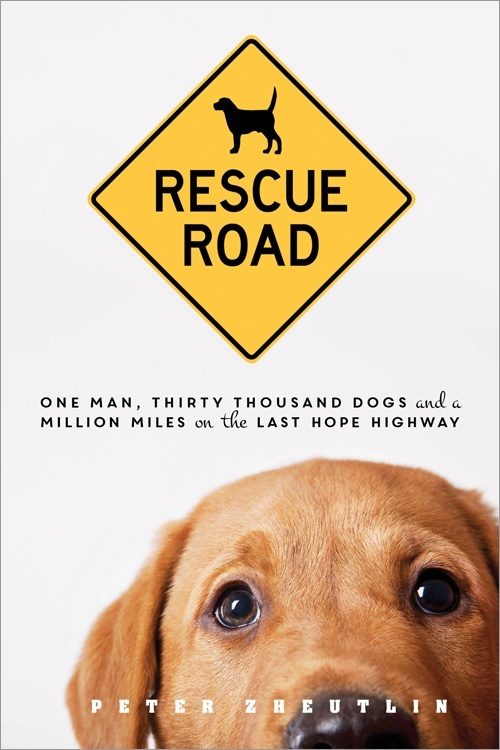 A recipe paired with RESCUE ROAD: ONE MAN, THIRTY THOUSAND DOGS, AND A MILLION MILES ON THE LAST HOPE HIGHWAY by Peter Zheutlin (Sourcebooks, 2015). 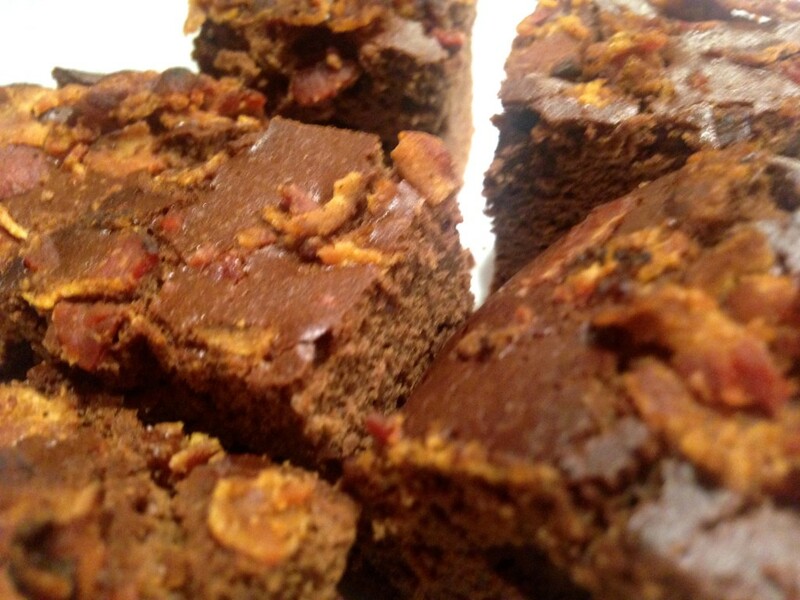 His wife Adella’s Bacon Brownies are one of Greg Mahle's favorites – a sweet taste of home that helps pass the miles during Greg’s long and physically demanding job bring dogs from the south to the north on Rescue Road Trips. Preheat oven to 350°F. Line a 9 x 9 inch square pan with parchment paper, allowing 2 inches of overhang on opposite sides. Spray paper with vegetable spray. In a dry skillet, cook bacon until crisp. Drain on a paper towel and allow to cool. Reserve 3 tablespoons of the fat. Finely chop bacon. In a saucepan, combine chocolate with butter and stir over very low heat, until melted. Transfer into the bowl of a large mixer. Add both sugars and reserved bacon fat and beat well. Add the eggs and salt, beat until smooth. Sift the flour and cocoa into the bowl and beat until blended. Scrape batter into the pan and sprinkle the bacon on top. Bake for 50 minutes, until set around the edges but slightly wobbly in the center. Transfer the pan to a rack and let brownies cool completely. Lift brownies out of the pan using the parchment paper. Cut into squares and enjoy.